My daughter is a quarter of the way through 7th grade. If there’s anything I remember about 7th grade, it’s that everything is awkward. Your body is changing which kicks in all sorts of insecurities. You’re trying super hard to be accepted and be considered “cool.” As the only American (besides her brother) in school, her accent gets playfully ridiculed and everyone wants to ask her questions about the recent US elections (as if she had a major part to play in all of it). I don’t know if those two strikes are what jump started the pattern, but I recently discovered her and her friends had suddenly been swept up in a vicious cycle of gossip. She avoided the subject as long as she could. I’m pretty sure it’s because she knew it wasn’t right. However, it had snowballed so big that she couldn’t find a way out. In her desperation, she told me what was happening between her and her friend. Myself and her friend’s mom rallied together and sat them down. Over vanilla milkshakes, we discussed the danger of gossip and how it wreaks havoc on everyone it comes in contact with. We encouraged them to be the kind of friend that they would want and that they had the power to change the direction of their words from that of negativity to positivity. We offered something that many people, in their shame, don’t take advantage of. We offered them a clean slate. That’s exactly what the Lord promises us in Lamentations 3:22-23. The thing I love about young children is that they seem to walk in this without even thinking about it. Once they say, “I’m sorry. Please forgive me,” they’re already on to the next thing without skipping a beat. 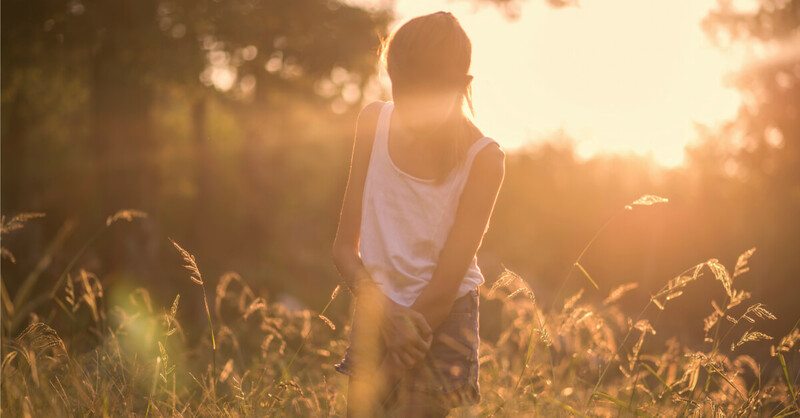 As our children get older and start to feel the weight of guilt and sin, we must teach them about this very important promise that God’s mercies are new each morning. They never cease. We don’t have to draw from yesterday’s mercies. They are new and fresh. Not only that, but His steadfast love never ceases. God loves us no matter what. His Father’s heart is always toward us. My daughter entered that milkshake meeting with fear and uncertainty. She was heavy with guilt. As we lovingly steered the girls in the right direction, that heaviness was lifted. Words of apology and forgiveness were offered on both sides, and by the time our milkshakes were gone, laughter and smiles filled the booth. God’s mercies are new every morning, and those girls stepped into that promise. As your child gets older and you start to see them riddled with guilt when they do something wrong. First, be thankful that they know the difference between right and wrong. Second, create an open space to talk about what happened. Teenagers aren’t necessarily known for talking openly. If that’s the case, don’t stop, because the third step is what they really need to hear. Whip out Lamentations 3:22-23 and remind them that God’s heart is always toward them no matter what course of action they may have taken. Emphasize His promise of an endless supply of new and fresh mercies every morning. They are there for the taking, but they must take them. They don’t just jump out and latch onto our bodies. We must step reach out our hands and scoop them up. I think a constant immersion into God’s word is a great way to keep these reminders in the forefront of our children’s minds, and devotionals are a great way to do that. 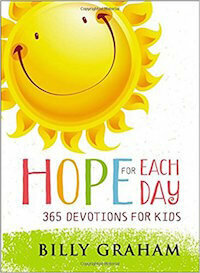 Billy Graham wrote a devotional called Hope For Each Day, and now it’s been adapted for kids! The cool thing is that parents and children can read the same ideas separately and then come together to discuss them. I highly recommend Hope For Each Day as a way to emphasize God’s important truths in our kids. How do you teach your kids that God’s mercies are new each and every day? 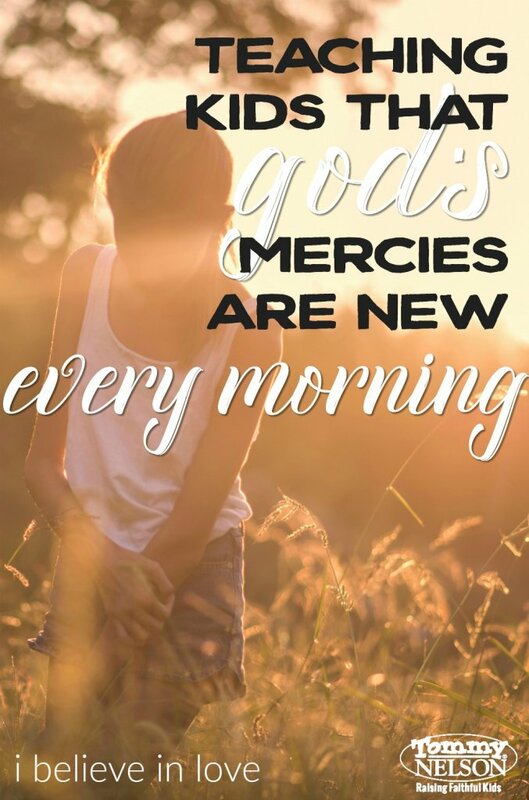 This entry was posted in Blog, Tommy Nelson and tagged 7th Grade, 9780718086176, Billy Graham, devotions for kids, Forgiveness, God's love, God’s Mercies Are New Each Morning, Gossip, Hope For Each Day, Lamentations 3:22-23, Mercy by Jennifer Price. Bookmark the permalink.